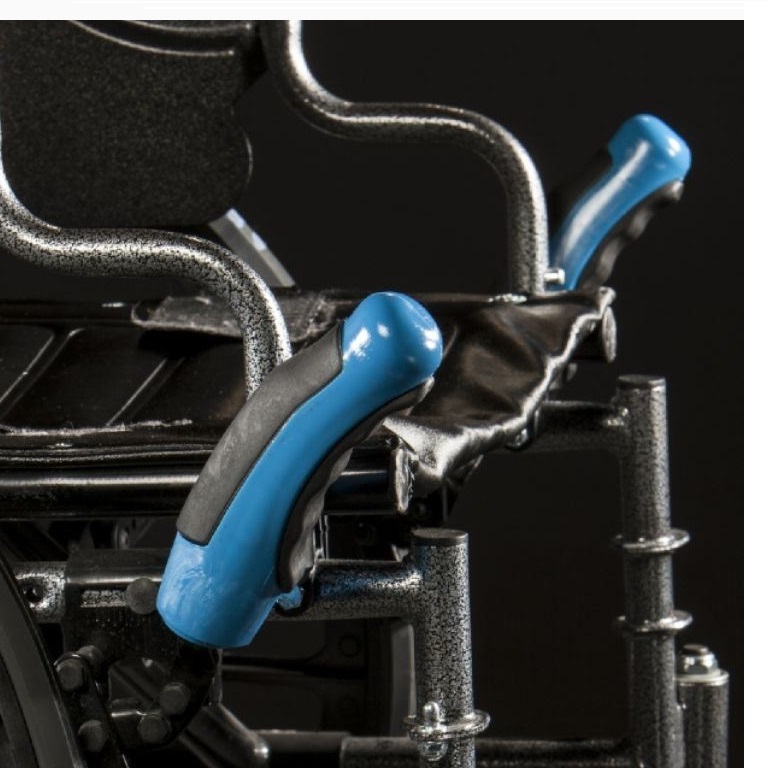 The HandsBuddy Wheelchair Brake Handles provides users, caregivers, and patients an easier grip for their wheelchair brakes. 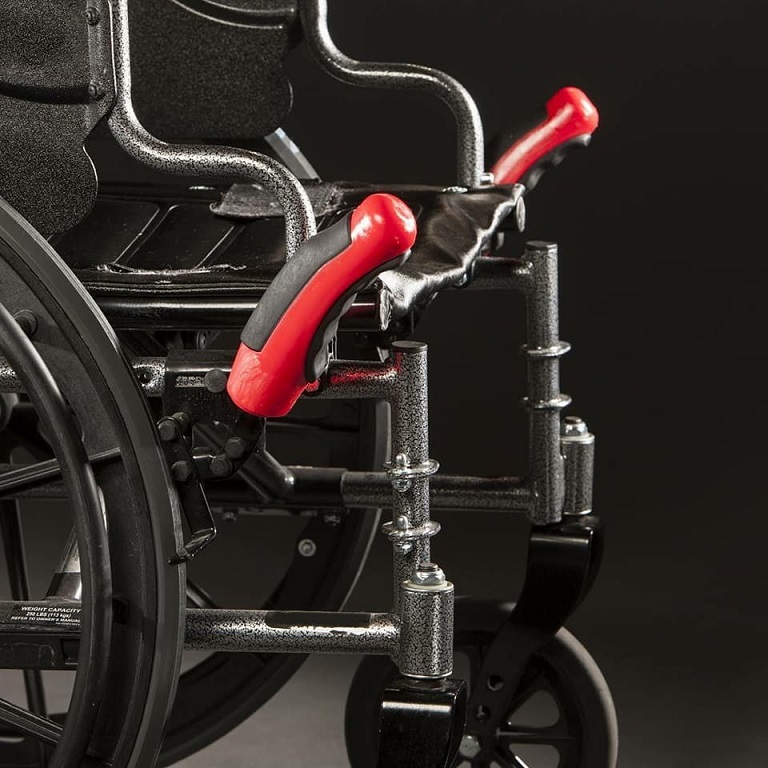 These large grip handles slide over the preexisting wheelchair brake handles, allowing the user to grip something more comfortable and easier to use. 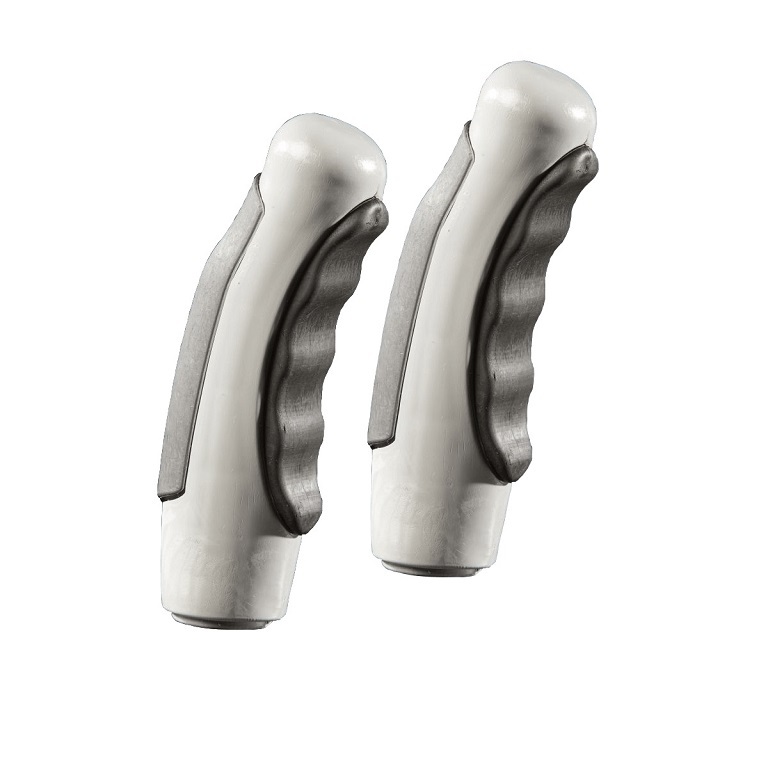 Caregivers will find these handle improve the safety, comfort, and functionality of the traditional wheelchair brake handles for manual wheelchair users. The HandsBuddy Wheelchair Brake Handless are designed to increase functionality, ergonomics, and durability of the brake mechanism on the manual wheelchairs. Traditional wheelchair break handles are small which can make them difficult to operate, especially true for users with weak hand strength or limited hand function. HandsBuddy extension grip provides increased control and comfort. 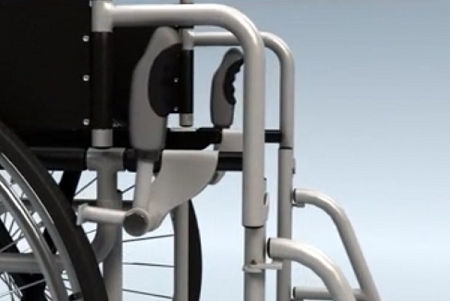 The universal design is compatible with most manual wheelchair models and is designed to stay put once installed. 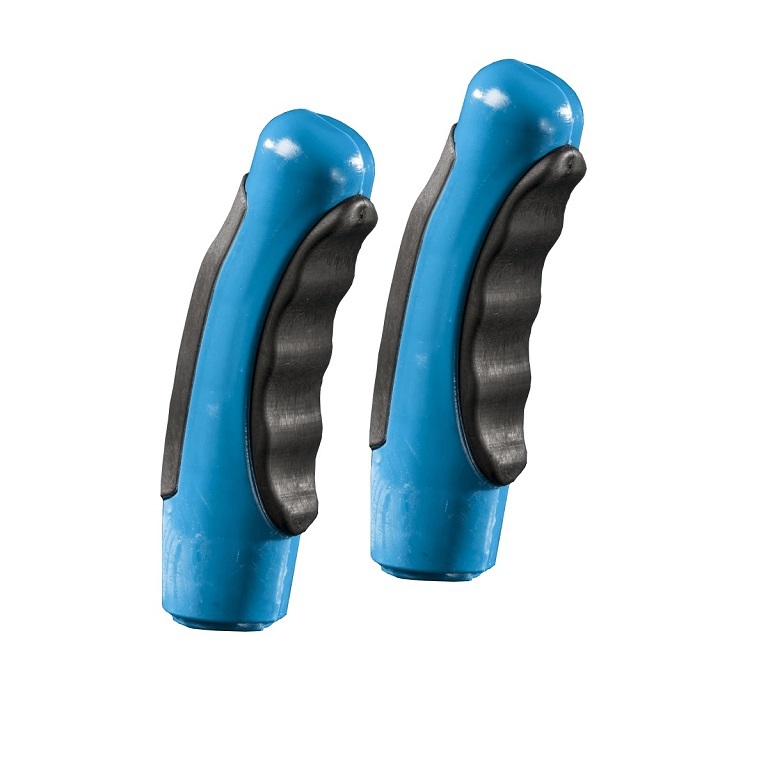 The material is durable and comfortable to grip. The bottom part has an adaptor made of hard rubber that expands as it fits around the metal lever, and the plastic surrounding keeps the handle tight once in place. 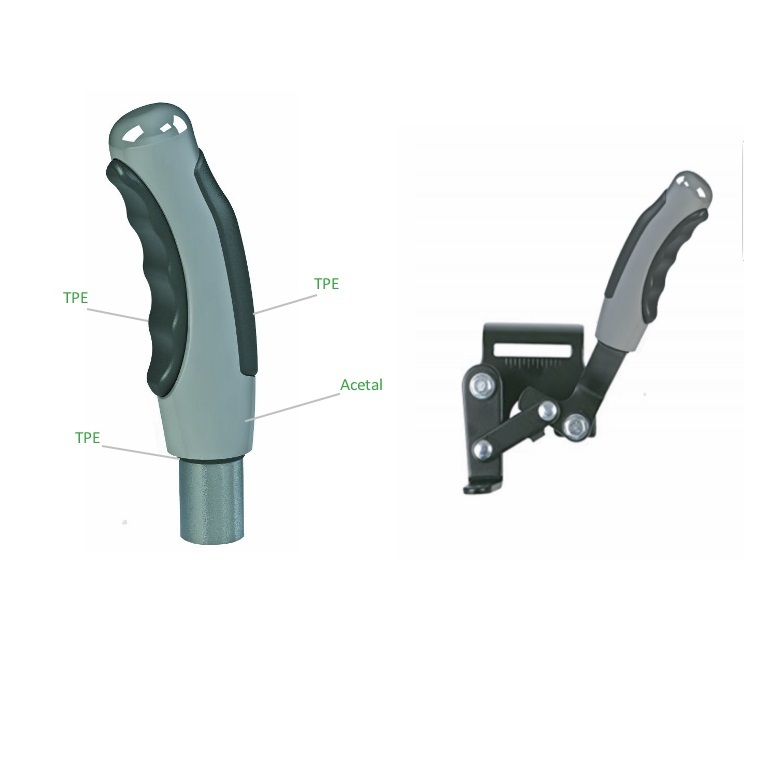 The larger handle and improved angle of the HandsBuddy allow the grip to fit comfortably in the hand and increases efficiency. 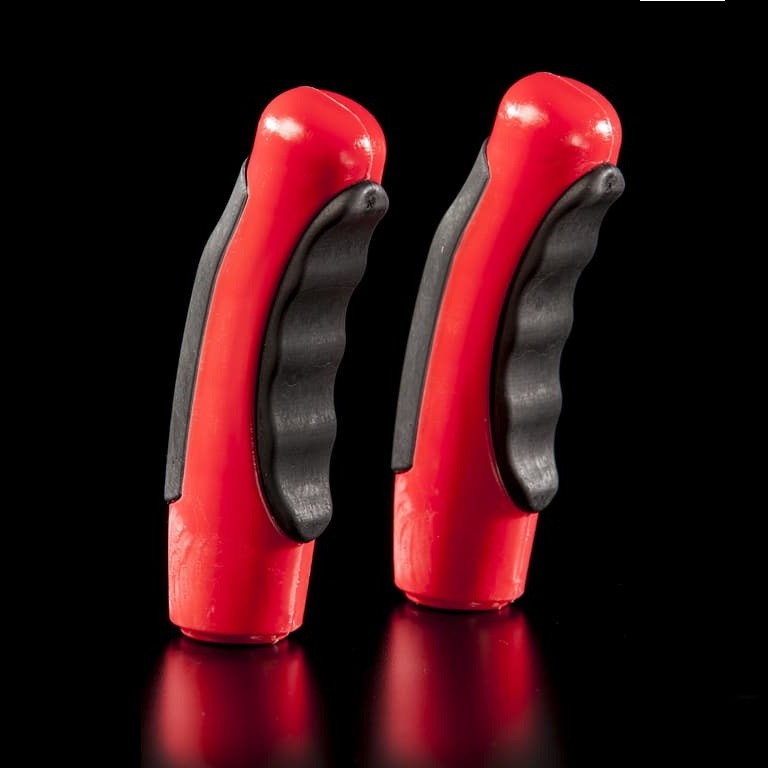 The HandsBuddy Wheelchair Brake Handles are available in easy to see red, blue or gray. Choose color: Red, Gray, or Blue. Measures: 6.5 inches long, 1.5 inch diameter.